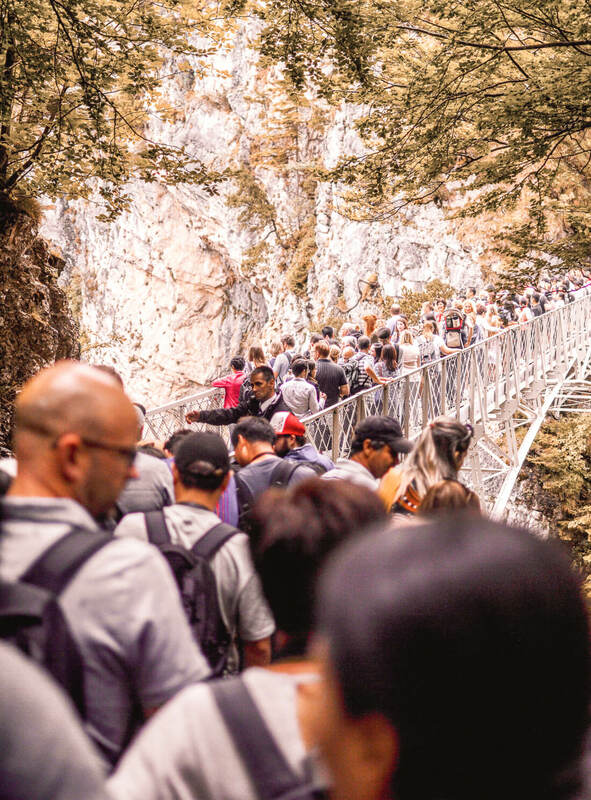 Although there is undoubtedly an enormous amount of positives that come along with tourism, unfortunately in many cases, the impacts of mass tourism can often be rather negative. For the most part, travellers never want to cause destruction to a country or its people. I personally travel the world to experience other cultures, destinations and new ways of life… So the thought that this could often leave a dirty footprint literally gives me chills. If you’re like me and you only desire to be apart of sustainable tourism and leave a positive impact whilst out exploring the world, listen in! And if you may be asking, “What exactly is Sustainable Tourism?” – It’s basically trying to avoid all of the things that I mention below, in the very best way that you can! Unfortunately for our beautiful earth, tourism can sadly cause a lot of devastation to its surface. As more and more people visit a destination, the demand continues to rise and land is constantly being destroyed to create more hotels, restaurants and appealing landmarks. With such a large increase in tourism and recreational facilities, deforestation is one of the largest issues. This sadly results in excessive land clearing and loss of ecosystems for wood collection, which also leads to wildlife loss too. So this is definitely a tough one to crack, but every little bit counts right? To begin, always look for hotels that are environmentally conscious! Support the accommodations that are sustainable, eco-friendly, and who care for the environment rather than contributing to the destruction. Before you visit your destination, research what the current environmental crisis is and do your very best to avoid contributing to it. 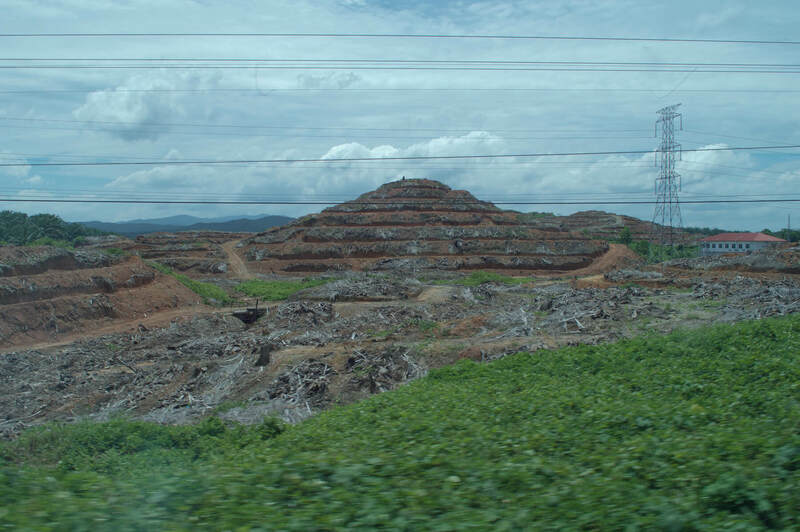 For example, Malaysia’s land is constantly being destroyed for palm oil plantations, so when you visit, it’s wise not to contribute to any further degradation and to avoid palm oil all together (and in your life back home too). In South America, the beautiful Amazon rainforest is constantly being destroyed, so try and stay in a hotel that condemns these actions… You could even pay a visit to the organizations that help to stop the destruction, or even donate some money. As for the simple problem of people disrespecting the local land and destroying the fragile environment, just make sure that you read the signs, don’t cross the barriers, don’t “do it for the gram”, and just be a respectful human! That’s an easy one. It really is tough to avoid the overall destruction… Travel isn’t overly kind to the planet, but by simply supporting the local organisations, obeying the signs, and staying off the beaten track a bit, that will do a whole world of good. Losing the countries original culture often comes with a rise in tourism, as the industry tends to form around what the tourists enjoy. Sitting in a beautiful villa or hotel surrounded by pristine shopping malls and fancy restaurants may sound appealing, but in some countries – especially in Asia and Bali specifically – that is so far from authentic. By constantly supporting major chains and staying in the westernized areas, these destinations will follow what we support. Temples, landmarks, places of worship and local stores continue to be destroyed. In many cases, I’ve been to certain areas and felt saddened by how much their culture had been manipulated by the influence of tourists. If you have the restaurant, hotel chain or store in your home country, avoid it! Of course, this doesn’t mean that you can’t go there on a rare occasion, it just means that you should try your best to support the places that are authentic to the destination. Visit the temples, stay in the smaller villages and support what the country is really beautiful for. Travel should be about experiencing new cultures, not changing them to what we already have back home. This is an absolute no-brainer, right? With a mass amount of people comes a mass amount of rubbish. 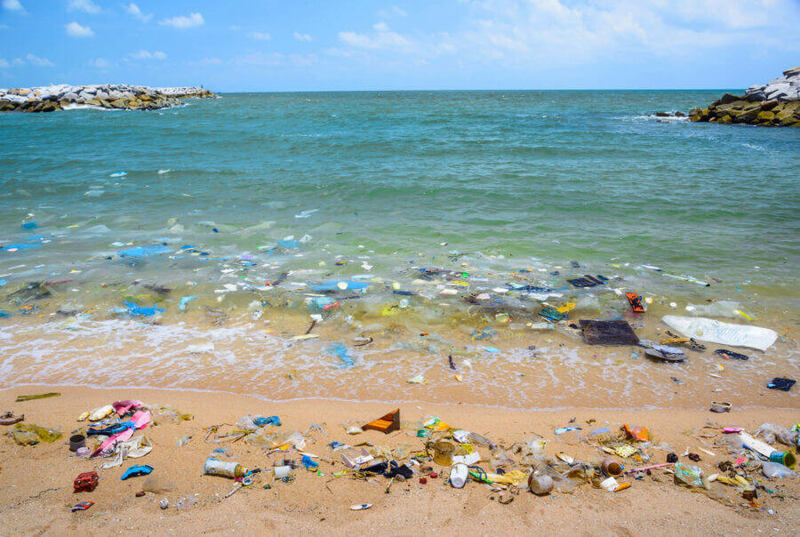 The more and more people that visit a destination with a care-free attitude, the more that the earth, the ocean and these beautiful destinations suffer. Unfortunately, even if travellers do their best to reduce their trash, it’s inevitable not to produce excessive waste simply by visiting alone. In countries that are still developing, there is really no telling that when you eat at a restaurant or stay in a hotel, that they dispose of their waste in the correct manner. Not to mention the sheer volume of greenhouse gases that are emitted into the atmosphere through the process of travel alone. Use sustainable travel alternatives wherever you can – walk, bike, tuk-tuk and train. Use a reusable water bottle, avoid single-use plastic, use waste free skin-care, don’t get your room cleaned every day… The list is literally endless. People, people, people. 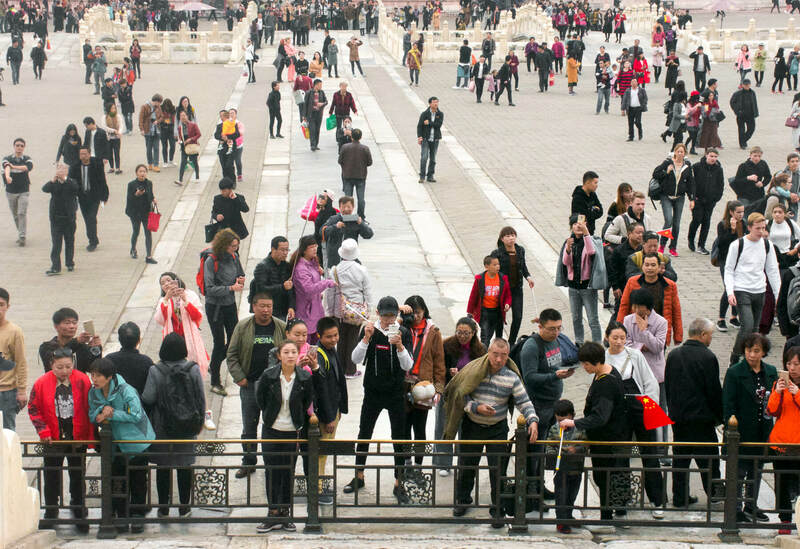 Popular destinations get a whole lot of people. 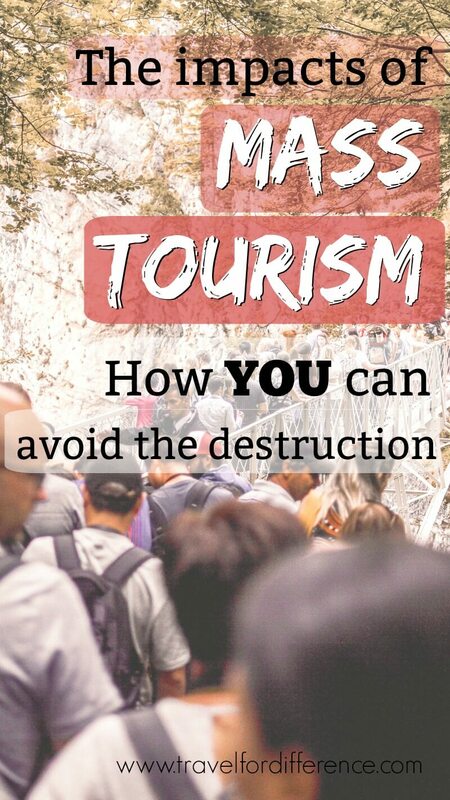 Now, this isn’t necessarily a terrible thing, as tourism is a leading source of income in many countries around the world, and without people that simply wouldn’t be possible… However, when tourists swarm a destination, a lot of destruction is caused. Locals suffer from excessive noise, famous landmarks become annoying to visit and impact the way of life for millions of locals. Go off the beaten track! As I’ve said many times before, places like the Eiffel Tower or the Colosseum are popular for good reason… It would be crazy to go all the way to Paris or Rome and not visit such beautiful landmarks. However, for the most part, avoiding the overly crowded areas is better for everyone involved. When thousands and thousands of people visit one location day in-day out, it would undoubtedly be very frustrating for those living amongst the chaos. Try and think about how you would feel if you had thousands of people at your doorstep every day… Put yourself in the shoes of the locals and ask yourself whether it’s really worth visiting! As more and more people visit destinations around the world – specifically developing countries – the more that the behaviour of locals sadly changes. In places like India and across South East Asia, people restrict their children from going to school (even when it’s free) to lure tourists through begging and similar acts. Tourists stand out like a sore thumb, and often negative behaviours are formed in order to get the money that we undoubtedly have. Sometimes it’s very easy to comprehend, as often these people have little to nothing and need to do all they can to survive, but a lot of these actions are things that we should never ever condone. This is a major impact of mass tourism, and it’s certainly not an easy fix. Do your research before visiting any destination! Learn about what’s right and what’s wrong – don’t support animal exploitation, don’t give money to begging children, don’t volunteer for the wrong reasons, don’t support the behaviour that has been negatively adapted to us. Essentially, be the most responsible tourist that you can possibly be. Tourism starts with the tourist! If we show what is right and wrong, the rest will hopefully follow in our footsteps. Instead of supplying support to the local people in these countries, the government directs their money into things that support tourism; hotel chains, restaurant chains and often the big international companies AKA. the places that tourists will always visit. This, of course, doesn’t directly lie in the hands of the tourist, but it’s something that we should always be conscious of whilst travelling to certain countries. Always support the locals! Avoid the major chain hotels, stay in locally run accommodations, small boutique hotels or air bnb’s… Don’t go to McDonald’s when there is a restaurant run by local people that need all the help they can get. Encouraging people to start their own businesses is so important – and supporting them when on the road is an amazing way to do so. Shop in local stores, buy things that are handmade and essentially… Go where the locals do! If you know any other major impacts of mass tourism and how we can help to lessen our impact, please leave them in the comments below! Hi Kate! Thank you so much for talking about such an important topic and for giving many solutions. I also love to travel but I have been avoiding it since last year… After witnessing how mass tourism can so negatively impact communities (in my own country), I decided to become an even more conscious comsumer/traveler. I usually travel by car sharing now during late Autumn/winter/early Spring and stay in my homecountry or nearby. I plant trees to neutralize my carbon footprint. I prefer to stay at friend’s homes while they are away. I have been avoiding airbnb… Sometimes I stay at a hotel. Travelling can be amazing but I believe we (as humanity) cannot keep travelling as we are now travelling… without seriously impacting our Planet and many wonderful places. Personally, I choose to travel less because of it. I really enjoyed your article! Thank you for caring about our Planet. I just also wanted to let you know: regarding tuk tuks… there are so many here in Lisboa… and Sintra, where I live. Unfortunately, most of them are not electric yet. They are so polluting, chaotic and noisy. They park everywhere, with no rules at all. I am not totally against them… If they are electric and not too many, they can be a sustainable solution. Otherwise, I am against them. I’m very happy to read your webpage. Its really very important for us to improve our tourism place and destination place. This is a great post, thank you for talking about this. Because of social media, so many people want to go somewhere just for the photo, and I think they forget that the place they’re visiting is someones home and they need to respect it. More and more, I find that as I travel I’ll arrive to a major location (like the Eiffel Tower) and it’s just so over-crowded that I can’t enjoy myself. I try to plan major sites like that early in the morning so that I can get out of the city for the rest of the day and really experience the destination. Hi Kate. As someone who studied Sustainable Tourism, I found this post very interesting. As tourists, there is certainly something we can all do to play our part in minimising our impacts. Dear Kate, this is a very important post, because hardly anybody talks about the downside of travel. However, if you go off the beaten path, doesn’t that also have a big impact on that “path”? If you stay with locals, go where the locals are, aren’t you automatically bring the change and the masses you are criticising in this article? We could have the biggest positive impact on the downsides of travel by – not travelling! I do travel a lot though. And it’s super hard not to actually feel bad about it. I have no solutions and I thank you for your article. I think, though, that the issue is also much more complicated. I totally understand where you are coming from, however, going off the beaten path brings support to locals whereas travelling to areas that are overcome with tourism does the total opposite. 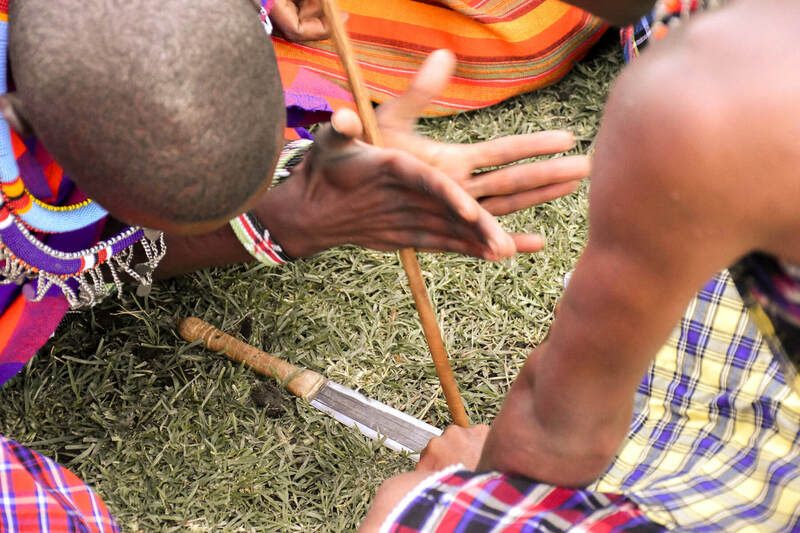 When travelling to countries such as Kenya for example, travel is overly welcomed! I had locals tell me how amazing it was to see a tourist in less known areas around Nairobi – they love to see people supporting their country. The major issue occurs in places like Venice, Paris, Rome etc where the way of life for thousands of people is dramatically affected. By encouraging people to go off the beaten path, travellers hopefully will search for places that aren’t popular on Instagram or Facebook; they’ll constantly be looking to avoid the masses (and also not encourage it) and give money to people that need it most rather than the famous areas that don’t! I also would like to add that I am not ‘criticising’ the masses, just encouraging others to do their part in helping to the better the issue. Travel is inevitable and sadly the damage is going to occur regardless – but hopefully with a few changes, it will be on a much smaller scale. I agree that the best way to leave the least impact is by not travelling at all, but I run a travel blog and that would be very hypocritical of me to encourage. All I’m trying to do is bring light to a subject that isn’t often discussed and get people to think a bit more about their impact. What I would love to see is people being mindful of their actions and supporting the locals rather than encouraging their demise! The path is only affected if we let is become so, but if we are all mindful of it then that’s a good start! You have to start somewhere right?